Industrial development, creation of new technologies, rapid urbanization of cities and abnormal natural phenomena often lead to major emergencies and create new tasks for emergency services all around the world. Disaster has no boundaries and does not choose the country. Today international cooperation in the field of civil protection and human security is extremely relevant. Lviv State University of Life Safety is a basic institution of higher education in the field of safety of life and protection of the population. It has extensive experience in international cooperation and every year deepens partnerships with rescue services, organizations, educational institutions, specialized units of other countries. University is an integral part of a Civil Defence system of Ukraine, that's why international cooperation is important for Ukraine's European integration. It is also one of the main tasks of International Activities Sector, departments and teaching staff of University. Our international activities are guided by a number of agreements on partnership and cooperation. More than 200 people from more than 50 specialized schools, organizations and government agencies of the Republic of Poland, Belarus, France, Russia, Germany, Great Britain, the USA and other countries take an active part in international conferences, theoretical workshops, seminars, colloquiums on the basis of our University every year. Lviv State University of Life Safety has strong long-term cooperation international relations with educational institutions of Poland and Belarus, including the Main School of Fire Service in Warsaw, Aspirants School of the State Fire Service in Krakow, Central School of State Fire Service in Chenstohova, Engineering Institute of MES of Belarus. University also cooperates with international scientific and educational institutions, consulates, embassies, diplomatic missions, regional and city administrations of the neighbouring countries. 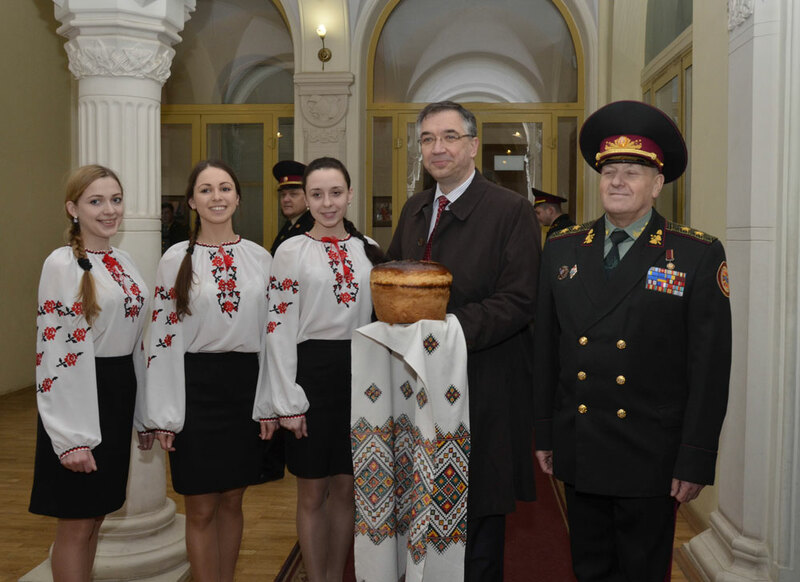 State Fire Service of the Republic of Poland, Embassy of France in Ukraine, Ministry of Emergency Situations of Belarus and other official bodies are the partners of our University. Our school has been repeatedly attended by many high-ranking representatives of European countries, including Ambassador of France Jacques Faure, Ambassador of Canada Roman Vashchuk, Deputy Minister of Foreign Affairs of Poland on East European Cooperation Katarzyna Pelchynska-Nalyench, Consul General of Poland in Lviv Jaroslaw Drozd, Attachés of the French Embassy in Ukraine Gerard Michel and Zherber Nubel, President of EFSCA Wim Beckman and others. Lviv State University of Life Safety has a rich experience of cooperating with international specialized companies and public organizations. Cooperation with the Polish company "EGERIA" (Warsaw) that specializes in manufacturing fire-safety equipment and various simulators, cadets and students of the university can improve their professional skills on a special simulator ML 2000, which is equipped with modern computer cybernetic appliance is able to simulate the conditions of fire close to real. 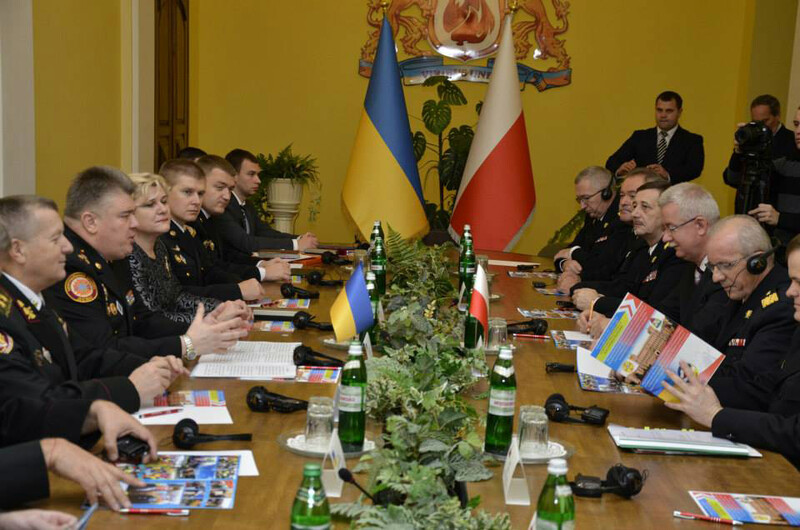 Over the last 5 years the University has been successfully implemented a number of international projects funded by the Ministry of Foreign Affairs of Poland and involved the integration of the Ukrainian system of civil protection in the pan-European mechanism (in particular, this such as «Improvement of emergencies arising in urban environments»; Cadet's and professor's visits to Poland; "Efficient management – coordination of actions on the protection of Ukrainian population in the metropolitan area – safe evacuation"; "Organization of technical rescue and medical treatment – common training of firefighters from Georgia and Ukraine", "Emergency tactics, technical and health care – practical and theoretical training of Ukrainian and Georgian rescuers " and others. In general, international projects were attended by more than 2,000 participants, the University received logistical support in the form of modern rescue equipment for use in the educational process at Educational Fire and Rescue Unit. Modern material and technical base of the University, comfortable lecture halls and media classrooms allow conducting high-level forums, seminars, conferences, video conferences, which are now extremely popular in Europe and America. Every year the Bavarian Red Cross paramedics provide training of the medical and teaching staff of the university. The purpose of these exercises is to introduce the latest achievements of modern medicine into the educational process. Together with Polish experts and MSA AUER Company psychological and training center for firefighters and rescue teams training with the conditions close to real has been established at Educational Fire and Rescue Unit. Cooperation with specialized educational institutions of the Republic of Poland is also fruitful. Every year more than 100 lecturers and cadets of the University are involved in the annual internships at Krakow School. 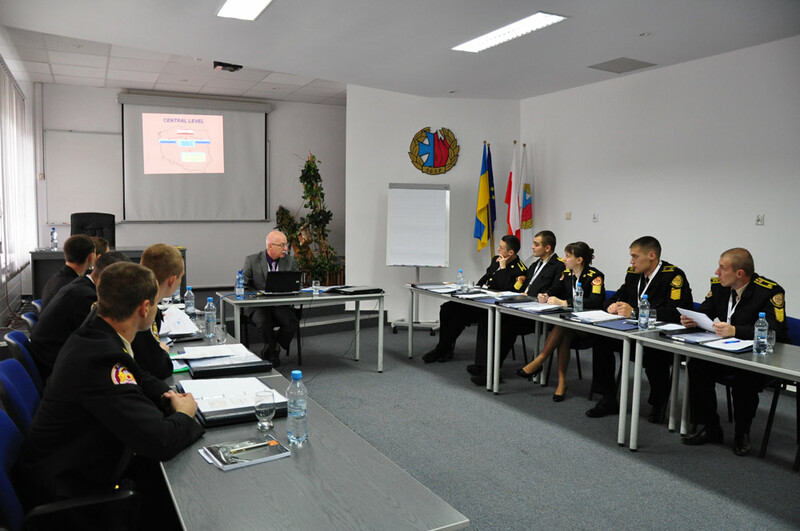 In September 2013 professional exchanges with the Central School of the State Fire Service (Czestochowa) started. The leaders of both schools decided to make them permanent. More than 100 representatives of the University attended France within a cooperation agreement with the Association of Sport and Cultural Exchanges "Lorrain-Ukraine". During the visits, staff and students of the university took part in training at the Main Directorate of the Fire Safety (Department Moselle). Our brass band took part in the festival of military orchestras "Led By Music". Rectorate of LSULS got acquainted with the activities of the Higher National School of Firefighters in Nenvil-le-Roche. University teachers visited the Main Office of Civil Protection in Paris. 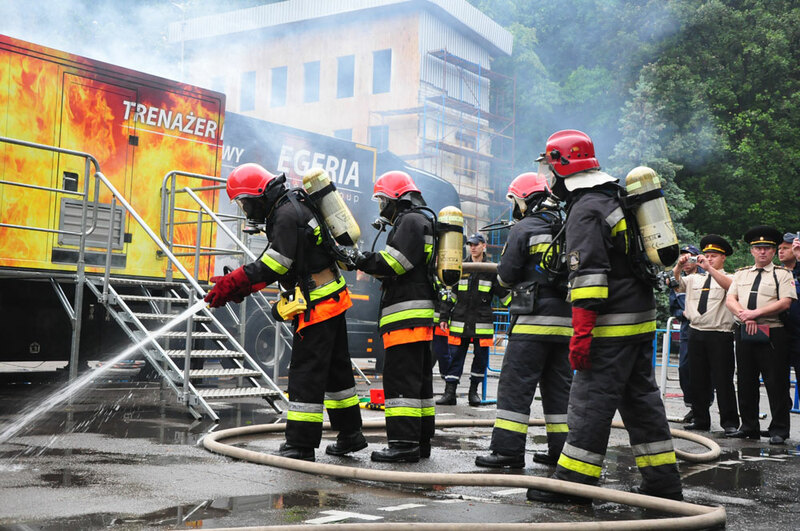 Every year in May and June our graduating cadets and students take part in International Practical Training «Fenix», organized and conducted by Warsaw School of State Fire Service of Poland in Pionki. During the training future graduates have the opportunity to improve their professional skills together with the students and rescuers from Poland, France, Germany, Belarus, Lithuania, Latvia, Estonia and Romania. In October 2013 Lviv State University of Life Safety joined the Great Charter of Universities (Magna Charta Universitatum). Rector of the University has added his signature to the document at the special ceremony. This document brings together more than 800 leading universities such as Cambridge, Oxford, and others. It should be noted that only well-known centers of knowledge, science and culture deserve such the high honor. This document defines the fundamental principles of universities governing for the optimal development of education and innovative movement. In 2009 the University became a member of the European Fire Safety Colleges' Association (EFSCA). Membership allows sharing experiences on fire safety, developing common standards and the concepts of security, using scientific handling training and experience of leading European experts. Regular trips abroad made by university representatives are convincing features of positive international activity. In recent years, the average number of trips made 83 trips a year. Each year more than 250 university representatives participate in various international events, including scientific workshops, international conferences, practical trainings, experience exchanges, official meetings, or signing short-term contracts for the implementation of educational projects. Forms and methods of international cooperation improve and cover all areas of educating highly qualified specialists for rescue services of our country.